Your body runs smoothly off a certain balance of nutrients. These nutrients are made up of the larger building blocks, such as fats, proteins and carbohydrates, as well as an intricate balance of vitamins and minerals. Vitamins and minerals work at the cellular level to keep your body humming along, to heal your body, to create energy and to create stronger cells. Without proper amounts of vitamins and minerals, you may find that you feel sickly and worn out. 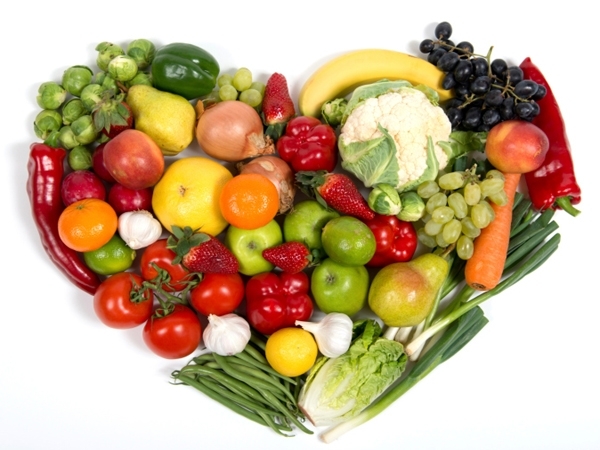 Here are a few simple tips for getting the right amounts of nutrients in their purest forms. You should always try to get the majority of your nutrients from food. These nutrients are pure in most cases when they have not gone through processing or manufacturing. Whole foods offer complex nutrition combined with fiber and other nutrients that are designed to protect vitamins and minerals. This means that your diet should be full of whole, raw foods rather than processed, packaged or artificially enriched foods. Bioavailability refers to how well the nutrients in your chosen food can be used by your body. While some foods may be rich in vitamins and minerals, your body may not be able to absorb them in their whole forms. Therefore, you should be aware of which foods should be eaten raw and which ones should be lightly cooked, chopped or crushed. The apple that has been sitting in a warehouse all winter does not have the same amount of nutrients that the apple you just picked from your tree does. As soon as a fruit or vegetable is picked, it begins losing nutrients. This is the main reason that you should shop for locally grown foods that have not been transported far rather than for foods that have taken up to a week to be transported across the country. As already mentioned, you should know which foods need to be cooked to unlock their nutritional goodness and which foods lose nutrients when heated. Foods that are high in the water-soluble vitamins B and C should usually be eaten raw while foods such as tomatoes, carrots and sweet potatoes are best eaten cooked. In addition, cutting fruits and vegetables and cutting or crushing onion and garlic opens up numerous nutrients. Similarly, soaking beans unlocks the goodness of many important minerals. However, some people benefit greatly from taking a supplement. This is particularly true for those who do not live near whole, fresh, locally grown fruits and vegetables or who are unable or unwilling to eat a wholesome, well-balanced diet. In addition, people who struggle with low appetite issues as well as older adults who are unable to absorb necessary nutrients from their food may benefit from supplements. Health365 provides vitamins online for easy access to people across the country. Always check with your doctor first to make sure a supplement is safe for you to take. Even if you do not have your own garden in your backyard, there are still plenty of great ways to get the vitamins and minerals that you need. Try shopping at local farmer’s markets or at roadside stands. If that is not an option, you can still find plenty of nutritious foods in the produce section of your grocery store or even in the frozen foods section when a certain type of fruit or vegetable is not in season in your area. While this is an important part of your health, it is not something over which you should stress. A well-rounded diet or even a diet supplemented with a multivitamin is a great way to keep yourself in tip-top shape.